In the summer of 2000, and before anyone called me “doctor,” I left my native Portland, Oregon and went to Japan as an English exchange teacher. There, I worked in a rural Japanese junior high school in an area that turned out to be the center of the Japanese optical industry. The people I met there (including the one I eventually married) mostly worked in the small eyewear design houses and factories nestled among the rice fields in that part of the country. 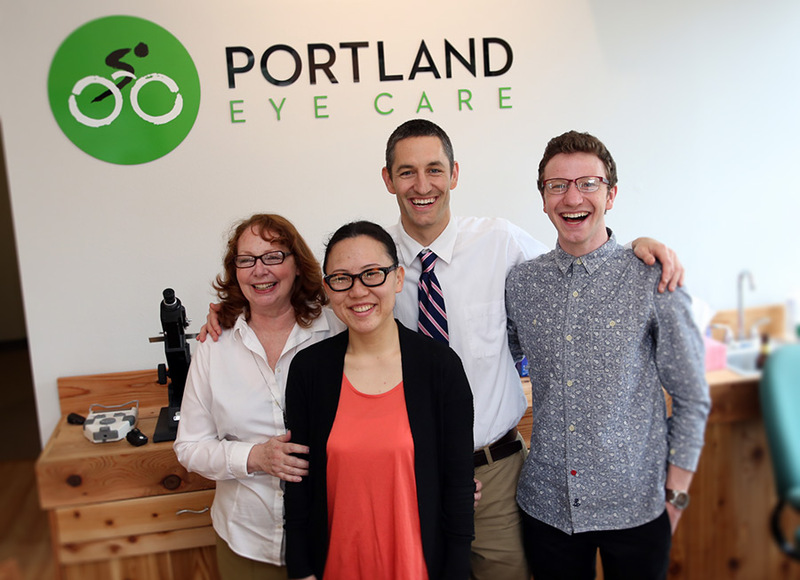 A few short years later (okay, fourteen years, mostly spent in optometry school and interning in Portland eye clinics) I opened Portland Eye Care as a way to bridge these worlds. While I love the unique Japanese glasses that we import ourselves from Japanese family companies who have been making them for generations, and I’m proud of the way we support our local community groups such as Portland Public Schools and the Bicycle Transportation Alliance, I know the only way we get to do these things is by taking good care of each patient we meet. This is really what you should expect to find when you visit Portland Eye Care. That is: a place that will take good care of your eyes and vision, a place that is a part of and contributes to our community, and finally, a place with the best eyewear in the world, imported directly from Japan by Akiko.